1. Open Terminal (keyboard shortcut: Ctrl + Alt + T). 10. Choose a server to connect to. 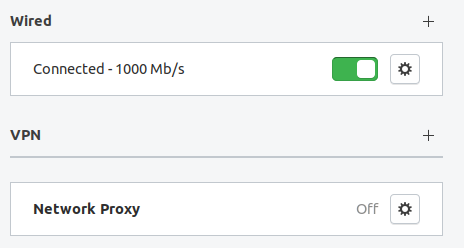 For this tutorial, we used us842.nordvpn.com, but you should connect to the server suggested to you at https://nordvpn.com/servers/tools/. You can find the server hostname right under the server title. 12. OpenVPN will ask you for credentials. 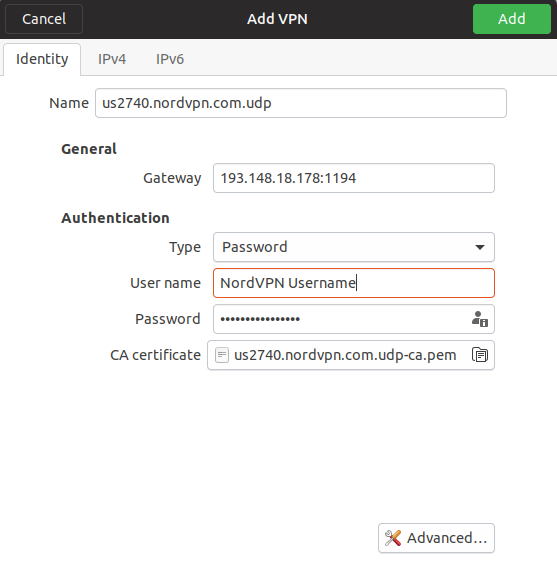 Enter your NordVPN account login details. 13. You have successfully connected to VPN. To disconnect, open Terminal and press Ctrl + C on your keyboard. 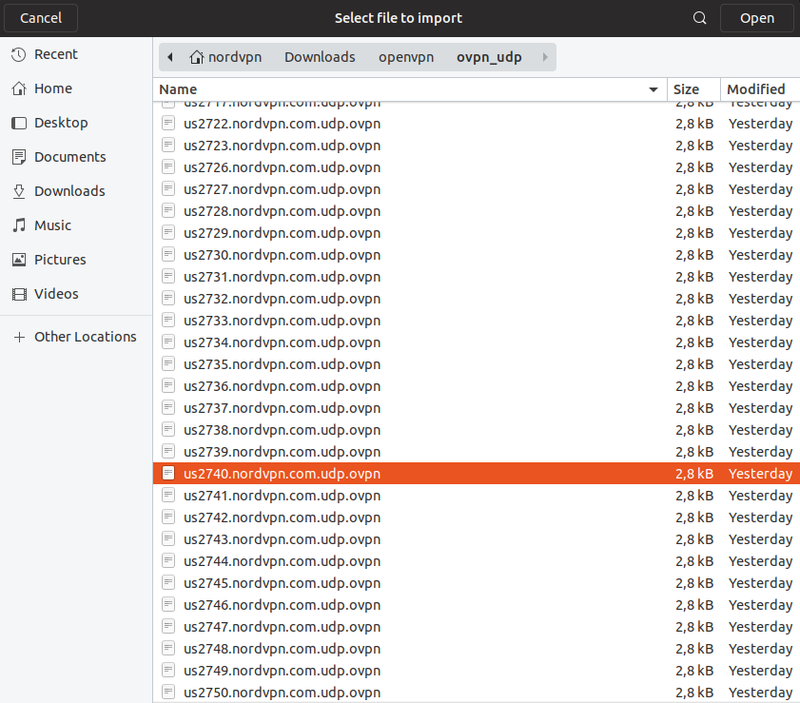 Download the OpenVPN Configuration File Package and extract them into your selected directory. 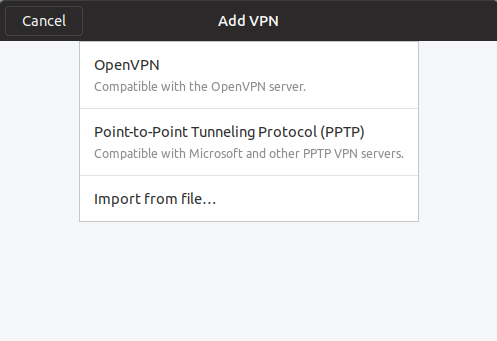 Click on the network selection button at the top right of the screen, click on VPN Off and select VPN Settings from the drop-down. The configuration window will open. Press + near VPN. You will be asked to select a file that you would like to import. Navigate to a folder where you have extracted the configuration files and select one of the files from the list and click Open. 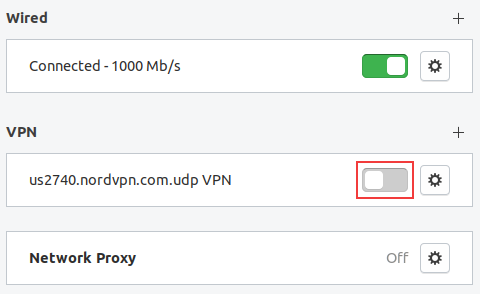 In the popped window put in your NordVPN Username and NordVPN Password. Then press Add. 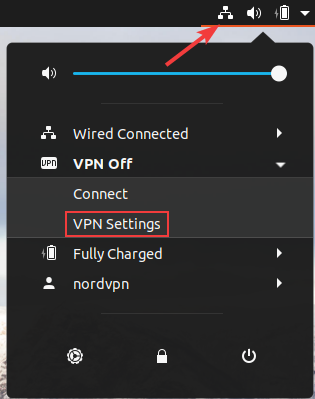 Now click on the slider under VPN options to connect to the NordVPN server. Slider will turn green once connected.